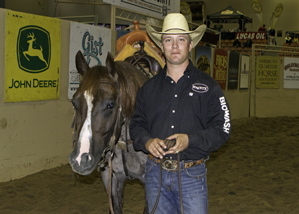 Up-and-coming professional horseman Kelby Phillips, of Ashland, Kan., claimed the biggest win of his young career when he piloted Garth and Amanda Gardiner's stallion, Hickory Holly Time (One Time Pepto x Hickorys Holly Cee x Doc's Hickory), to the National Reined Cow Horse Association (NRCHA) Snaffle Bit Futurity Cinch Intermediate Open Championship Thursday, Oct. 3, in Reno, Nev.
Phillips and the roan stallion scored a total 648 (214 herd/218.5 rein/215.5) for the win, which came with a check for $30,000, thanks to a sponsorship from NRCHA Corporate Partner, CINCH. "This means a lot. This is probably my most favorite horse I have ever had. Ever since I've had him, he's just kind of a pet, always wanting to nibble on you. He's always been fun. It doesn't ever seem like he has much of a bad day," Phillips said. Phillips showed another Gardiner-owned horse in the Intermediate and Limited Open finals – Bed Head Cat (Wild Haired Cat x Isabellena x Quejanaisalena), and he qualified both Hickory Holly Time and Bed Head Cat for the Futurity Open finals on Saturday, Oct. 5. Phillips has had tremendous success in the Limited Open at NRCHA Premier Events in 2013 aboard horses owned by the Gardiners. He won the NRCHA Stakes, Hackamore Classic and Derby Limited Open Championships, but this is his first time to qualify for the Open finals. "These are the first two horses I've ever trained from the start to bring here, so it's a pretty big deal to me," he said. "To bring these two horses here, the first ones I've trained, it's pretty unbelievable." Phillips thanked Don Murphy for coaching him before and during the Futurity, and also appreciated herd help from Brandon Buttars, Zane Davis, Faron Hightower, Boyd Rice and Robbie Boyce. He also particularly credited his wife, Abbie, for her help and patience, and was glad to have extra friends and family in his cheering section. His parents were in Reno for the finals, and some of Phillips' close friends flew in from Texas with their 10-week-old twins. Although Philliips was thrilled to win the Cinch Intermediate Open title, he admitted the high point of his trip to Reno so far was watching his boss, Garth, score a 217 to win the cow work round in the Futurity Non-Pro preliminaries last week. "This is really an exciting moment for me, but to see Garth win the fence work was probably the proudest I've been. We had his horse ready, and had him ready, and he came in and marked a 217 and won himself a gold buckle," Phillips said, smiling. The Futurity Intermediate Open Reserve Champion was Smooth A Roany (Smooth As A Cat x Boons Pepto Roany x Peptoboonsmal), shown by NRCHA Hall of Fame horseman Ted Robinson, of Oak View, Calif., for owners John and Nikki Jump. They scored a 645 (214 herd/218.5 rein/215.5 cow), winning $15,000. Gardiner Quarter Horses & Hes Wright On! The National Reined Cow Horse Association will offer added money in several Non-Pro Limited divisions at its Premier Events in 2013, thanks to the generous support from Gardiner Quarter Horses, owned and operated by Garth and Amanda Gardiner. The Ashland, Kan., facility is also the home of the Gardiners' champion cow horse stallion Hes Wright On. The Non-Pro Limited Derby, Non-Pro Limited Futurity and Non-Pro Limited horse show class at NRCHA Premier Events all will benefit from the Gardiners' contribution. The Non-Pro Limited Derby, a herd work, reined work and boxing division for Limited riders and their 4- and 5-year-old cow horses, debuted last year. Previously, the class paid on a jackpot-only basis. The Gardiner Quarter Horses/Hes Wright On sponsorship will add $1,000 in added money to the Non-Pro Limited Derby at the NRCHA Stakes, the Hackamore Classic and the Derby. 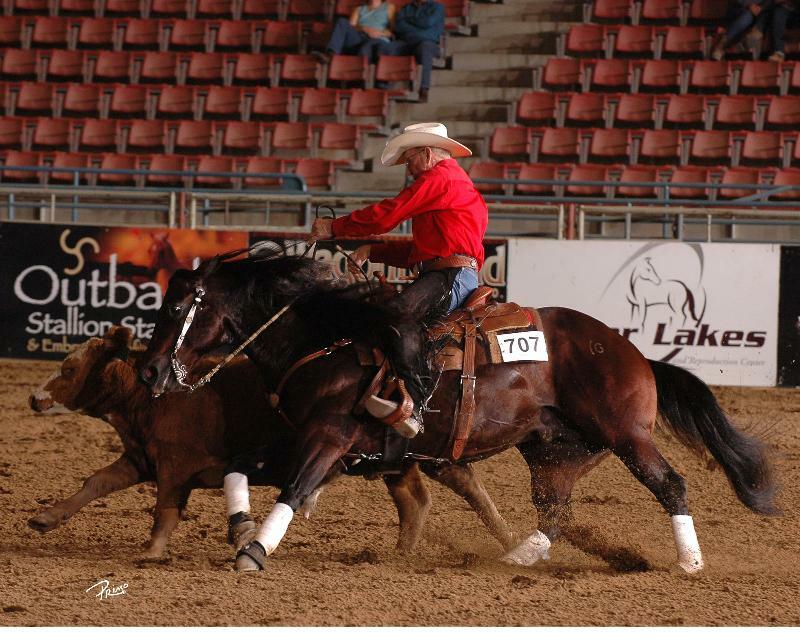 Gardiner Quarter Horses/Hes Wright On also will sponsor added money for the brand-new Non-Pro Limited Futurity, which debuts this year at the NRCHA Snaffle Bit Futurity in Reno, Nev. This is the first opportunity for Non-Pro Limited contestants to experience the ultimate thrill of showing a 3-year-old cow horse at the industry's biggest event, without having to face the demands of fence work competition. The Gardiner Quarter Horses/Hes Wright On sponsorship means $2,000 in added money for Non-Pro Limited Futurity riders. The sponsorship support from the Gardiners and Hes Wright On also extends to the Non-Pro Limited horse show class. They will add $500 to that purse at the Stakes, Hackamore Classic and Derby, bringing the total added money to $1,250 in the Non-Pro Limited at those three NRCHA Premier Events. At the Snaffle Bit Futurity, the Non-Pro Limited horse show class purse will contain another $1,000 thanks to Gardiner Quarter Horses/Hes Wright On, for a total of $1,750 added in that division! The Gardiners transitioned from showing rope horses to cow horses in 2007. They maintain a significant presence in the show arena, where both Garth and Amanda have become fixtures in the Non-Pro finals at the NRCHA Premier Events. The Gardiners' stallion, Hes Wright On (Lenas Wright On x Shesa Lota Nic x Reminic) has garnered numerous wins under the guidance of NRCHA Hall of Fame Horseman and $1 Million Rider Doug Williamson, Bakersfield, Calif. Hes Wright On is now embarking on his career as a champion sire. Both Gardiners contribute their time as NRCHA volunteers; Amanda serves on the Board of Directors and Garth oversees the NRCHA Stallion Auction. 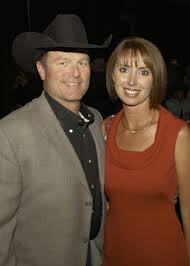 The Gardiners' Non-Pro Limited sponsorship is motivated by the desire to encourage others to participate in the NRCHA. "There is nothing like the excitement and passion that comes with learning. We need to infuse our sport with that passion, and I am hopeful that adding money to the Non-Pro Limited events will help us grow those classes and continue to build enthusiasm for our sport," Amanda said. She was reminded of her own introduction to the sport when fellow Non-Pro rider Sareece Brown, Franklin, Tenn., recently bought a show horse from the Gardiners. During Sareece's test ride, the mare laid down a huge sliding stop, and the thrill was contagious. "The excitement in Sareece's eyes and the smile on her face took me back to how my first cow horse, Sue C Shiner, taught me to stop, rate a cow and show a cow horse," Amanda said. "That is the kind ofexperience we want everyone to have in connection with our sport."